The locking pliers in this 5 piece set feature an epoxy resin coating that is 10 times more corrosion resistant than nickel and provides superior resistance to welding spatter. Drop forged jaws ensure long-term durability. Piano wire spring ensures superior tool life and reliable opening and closing of tool. Made in Spain and backed by Gray Tools worry-free lifetime warranty. Contains: 7" & 10" Locking Plier with Omnium Grip, 10" Locking Plier with curved jaws , 10" Locking Hose Clamp and 5" Locking Plier with Curved Jaws. Piano wire spring ensures superior tool life and reliable opening and closing of tool. 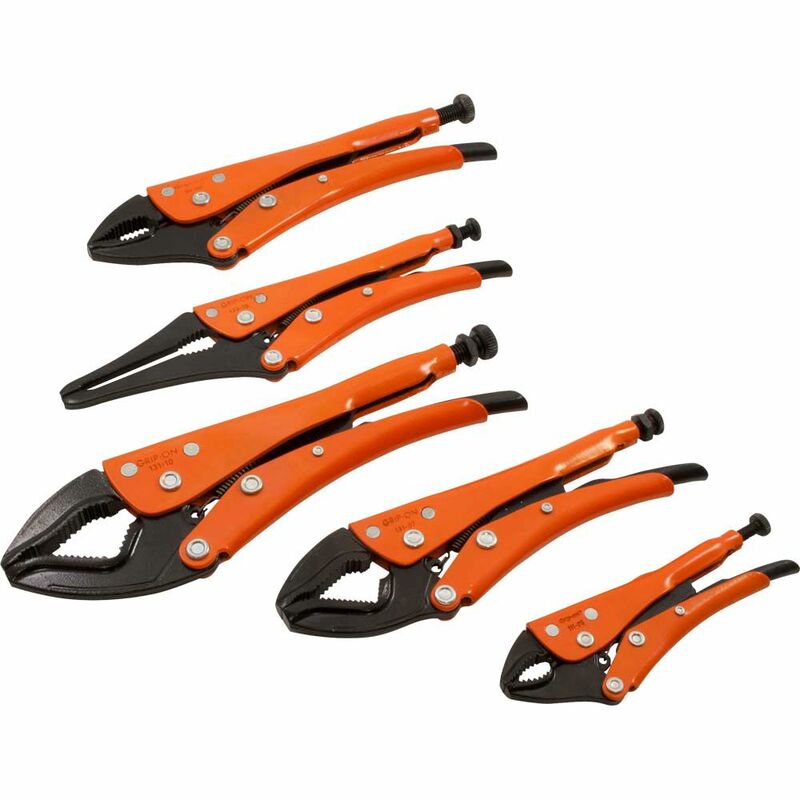 5 Piece General Locking Plier Grip Set The locking pliers in this 5 piece set feature an epoxy resin coating that is 10 times more corrosion resistant than nickel and provides superior resistance to welding spatter. Drop forged jaws ensure long-term durability. Piano wire spring ensures superior tool life and reliable opening and closing of tool. Made in Spain and backed by Gray Tools worry-free lifetime warranty.